My parents will be moving into Brookdale Redwood City. It's clean. The room is a good size for people who are downsizing. I think there is enough room for my parents. The staff members are very helpful. They answered any questions that we had. They have movies and card games. They also have a library and an exercise pool. My mom lived at Brookdale Redwood City for a little over five years. The level of service she was receiving was horrible, and they had violations of codes for caring for the elderly. My mom was known as the resident in assisted living who never needed assistance because she was pretty independent. When she finally deteriorated to the point when she did need help, this is where they completely let her down. She laid on the floor on one occasion for 45 minutes after falling coming out of the restroom, and again she laid on the floor for two and a half hours after coming out of the bathroom and falling another time. She fell a total of three times in the five years she was there. Their turnover was just horrible and the executive director position was like a swinging door. It was awful, and I would not recommend them to anybody. When Mom first moved in there, the food was great and she loved going down to eat, but by the time we moved her out, she rarely went down because it wasn't worth it. I had to bring food in. If the residents complained about the food, the management would tell them to have their people bring them stuff. The arrogance was beyond the pale. They should be held accountable for the level of treatment that people got in assisted living. We decided on Brookdale Redwood City for my mom. We chose it because of the size of the room and the price point for independent living. The assisted living was a little bit lower than some of the other places, but the option of having independent living was very compelling. There is a combination of independent and assisted living residents, and they were very friendly. It has a good range of options for someone to enter into senior living, and it seems like they have a very helpful staff and a welcoming atmosphere. Brookdale Redwood City was spectacular in terms of the amenities, layout, cleanliness, and staff interactions. The garden areas and everything about it were beautiful, but it was expensive. It's definitely at the top of the list. Brookdale Redwood City was excellent. People were friendly and were very helpful. As a matter of fact, it was second on our list. It was good enough for us to decide for my mother to move there. The room was nice, and the facility was very good. They have a pool for water aerobics which is good because it is one of the things she really likes. The rooms all have complete kitchens or at least the one-bedroom. They have movies and different exercise classes, shuttle buses that take people shopping and to the doctors, and a facility that if you have a guest they could stay overnight in a guestroom, which they would have to rent of course. They have a Jacuzzi, exercise, and arts and crafts. They obviously have meals, and they go on excursions. My mother-in-law has moved to Brookdale Redwood City. It’s very nice. She chose them because she liked the atmosphere there, and she thought she would like it. The people were friendly. It’s a very vibrant place, and seems very social. She liked the apartment. They had lots of activities, and we had lunch there. She liked the food, and also the fact that the price was less than where she was living before. She’s very happy there. My mother is a resident of Brookdale Redwood City. The staff there is very nice. However, they may be a little understaffed because they are not always available right away when my mother asks for help. My mother is staying in a very nice one-bedroom apartment. I have eaten there, and the food was good. It is not like restaurant food, but it is low in fat, low in salt, and nutritious. My mother likes it. They have a lot of activities, but she is not participating in anyyet. They have exercise classes, a lap pool and bridge games. I think that the place is secure. They only have one entrance with a receptionist, and you need to sign in before you can get in. If only they had more staff, they could respond more quickly to the needs of the residents. Brookdale was a very nice place as well as the rooms. I like the staff very much. The price is a little bit too high for us. My daughter is at Brookdale Redwood City. It seems very pleasant there. The surroundings are nice. The staff was wonderful, and the residents were extremely welcoming and friendly at Brookdale Redwood City. I liked the location. It was quite nice. The building needed upgrading, and the food was not very good. The most desirable thing about it was the cost. It was very reasonable. Brookdale Redwood City has a very spacious environment when you walk in. There is a nice spacious lobby area. The dining room is laid out well which is not exactly a straight line through. There are tables on both sides and big windows with lot of sunrise that come in. I really like that there are pathways where people can walk from the main building to other parts, and there are benches to sit outside. It has a very park-like living environment to it. Everybody is very friendly. The gal in charge of signing people up is a very kind woman. As far as I know, they have somebody come to look at their furniture to help them decide what they can take with them. My in-laws are getting a two-bedroom unit. I do know they got an upstairs unit with two balconies which is nice for them to be able to be outside without having to go somewhere. They have a lot of light and fresh air. The kitchen is going to be a perfect size for her. It seems that there is something going on every single day too. There are special events, and then there are weekly events like they alternate old-time movie nights, ice cream, bingo, chair exercise, and all sorts of activities. They have a library, and when I visited, people were playing some kind of card game. It is a facility that you can go into independently and progress to assisted living as needed. My understanding is they even have hospice. It is a place you can go and not have to worry about having to move should your physical condition change. Our visit with Woodside Terrace (Brookdale Redwood City) was nice. They had nice people. The persons that showed us around were very congenial. The place was clean and had no smell. I thought it was a couple of steps above what she needed, and that was my mistake in making that appointment, but I did like it. They were informative and gave us all kind of information. It was more for people who needed care. I went to see the room, and it was nice. I would recommend it. The people there really took care of the people who lived there. My mom has only been at Woodside Terrace (Brookdale Redwood City) for 3 days. It is sort of a hotel environment with dining and activities, alongside independent and assisted living. Overall, the staff is very good, caring, and attentive. It is positive, lots of the conversation, engagement, and options. It has a nice ambience. It smells clean, and there’s an outside patio area. There are activities that you can choose to participate in or choose to sit and watch. They have therapy on site. They have scenic drives and luncheons out. They had a Jewish Passover meal today. I think they have barbecues, too. They have good food, and they have a good balanced plan for seniors that I can see so far. They have an independent and assisted meal areas so a quiet room and a not quiet room. If you’re in the mood to talk, you can go to the talking side. Redwood is good. They get little groups together, and they do different activities. The food is nutritional, and dad is on a special diet. The staff assists me and gives me all the information I need. Woodside Terrace looked clean and pleasant. It met our needs. They had perfect people who were very cordial and professional. The common area looked good. We didn't eat there, but the menu was good. They also had activities. It would be better if they could update a bit on their equipment and furnishing. She is in the intensive care part of Woodside Terrace. She has a nice little apartment with a bedroom and a bathroom so we are able to fix it up very much like it her own. They have a 24-hour nursing care which is something that she needs and most facilities don't offer that so I'm really grateful for that. There is a nurse on site which makes a considerable difference. The second thing that they have which is unlike many of the facilities I've visited is that they have a regular meal, but you could also order other things. They have a menu, so you don't get that same standard food every day. They have a high turnover with their staff, but they hire very qualified people. I found the staff to be very friendly and very supportive. They all have CNA credentials. The staff that was doing the tour for Woodside Terrace was very nice, though the facility itself looked a little shabby. It needed some help. I was surprised with the garden because there weren't very nice sitting areas outside and that could have been improved. The swimming pool they have needed to be fixed up. I understand they are going to be doing some upgrading, which is good because they needed that upgrading. It just looked worn out. The paint was not in great shape. The room that I got to see was just the basic. There is just no way my in-laws would move in to something like that. It was pretty depressing. It was not the level that my in-laws are used to. This is unfortunately well below anything that I could imagine them doing. This is perfect for a lot of people but it just wouldn't work for my in-laws. My mother is in Brookdale Redwood City. The administrator who showed us around and who also helped me sign the lease were wonderful. They had very nice staff as far as the tour and the overall move-in. They were really good. The dining area is quite large and has lots of choices. There's a schedule of activities that goes out every week and it's filled with different outings, exercise choices, and recreation type choices. We saw Brookdale Redwood City, it looked pretty good, and we thought it was nice, but it's probably not our style. We saw the room, some of their recreational facilities, the dining room was nice, and the food was quite good. One room we saw was quite strange, and I think it was done for a specific person because it had two bedrooms in it. The staff was very nice. They have a wonderful heated pool and spa, excellent for exercises and walking. Unfortunately, I can't afford a one bedroom and the studio looks too small. Brookdale Redwood City was average, but it's OK. We liked it and the price was very reasonable. The director was very knowledgeable, detail-oriented, and told us everything, so we liked her a lot. It's a little bit older and the ceiling is not as high as other places. Brookdale Redwood City was very good. We had a dinner of some dry fish, but other than that, they were more reasonable. The staff was very good. They had a library, shows, and games. We visited Brookdale Redwood City (formerly Woodside Terrace). The grounds looked very nice. They had exercise rooms and pool. However, I found the rooms to be impossibly small. They had two closets in the whole place and neither one of them were deep enough to put a hanger in. They just had some knobs on the back of the wall where you would hang your clothes. I found it utterly not what I was looking for. The kitchen was a little old-fashioned. I was disappointed in it; it was much too small. It might be suitable for someone that needed assisted living rather than independent living. The staff was very nice and very kind. Thank you for visiting and taking the time to share your thoughts about our community. We realize that our apartments are smaller than many expect. Most of our residents are downsizing, which can be a difficult transition. They do not need as many items in our setting, as we provide many items and activities! Brookdale Redwood City was very nice. I had my own little apartment, and it had a huge indoor swimming pool. I stayed there because I had to leave another place while waiting for my dentures to be finished, and I couldn't go back to Calaveras County because I was not able to drive after my spine was fused. I needed to find a place, and they took me in on respite basis. They would transport me over to my dentist where I was getting my teeth made, and they were more than gracious. The staff was outstanding. I played bingo just to keep busy. I was a lot younger than anybody else, but I was just there to wait until my teeth were done. If I wanted my meal brought up to my little apartment, I could, but mostly I just went downstairs to eat with other people. The food was excellent, and there was a menu to choose from. The place was very nice. If I needed to go to my dentist, they were right there to take me. They'd put the wheelchair into the van and were very accommodating. The amenities at Woodside Terrace were very nice; I give it 5 stars for the amenities. I didn’t think the staff was that enthusiastic; I didn’t get a feeling from them, so I only give them 3.5/5 stars. That’s the number one thing to me. The residents seemed very unhappy; they just didn’t seem like they were engaged as there were still tons of activities to do. They were just sitting around not doing anything at all. I saw people in the meeting, and I just did not get a good feeling; it could have been the day I went. It seemed very clean and instantly remodeled; it was dingy. It was clean and bright. The dining room was very nice, it looked like a fancy hotel like a nice hotel dining room. It’s very nice, but it was just that vibe. I just felt like it’s not a happy place. The rooms were bright, clean, updated, and spacious. Thank you for taking the time to visit our community and to share your thoughts. Your feedback is always appreciated. Please be assured the happiness and well-being of our residents are top priorities, and we hope you will join us again to see even more that we have to offer! We visited Woodside Terrace about 2 years ago. Everything was wonderful. They did not have that many units that were available for us to try to decide whether or not this would work for us. The staff was excellent. There was nothing negative about them. The staff was great at Woodside Terrace. I was very impressed with everybody that I met and talked to. The facility, for the most part, was great. It is clearly an old building, but the inside of the building was very clean. The people that were living there, I met some in the dining room and talked to them, they were very enthusiastic about the place. Clearly some upkeep needs to be done on things like the swimming pool. The physical therapy room was a little bit subpar as far as I was concerned, but for the most part, it was well taken care of. The people seemed to care and they were very friendly. I would give them high marks for that. Mom is at Woodside Terrace. We chose this facility because it's close to us, to the doctor, it was centrally located in town so my mom could get around easily, and the price is right. The staff are very patient and caring. Her room is very clean and very spacious. They have a swimming pool and exercise room. They also have exercise and Tai-chi classes. They go out to excursions on a daily basis to shopping centers and so forth. It's a very active adult community and I am very happy that mom is in there. We visited Woodside Terrace, and it was in a very busy area of Woodside Road. It was a big complex and the grounds were nice. The rooms were very nice. The place was well kept and well maintained. The common areas were very nice and well decorated. The dining area had a restaurant style setup, but there was an area with more room, conducive to people in wheelchairs, because they had a huge assisted living population. I haven't tasted the food but it was highly recommended. The staff was good. For people like me who are interested, they kept us on their mailing list and we were invited to things. I've gone there several times for events. I would like my mother to be there because there were World War II vets there, but it was $6,000 a month and we couldn't afford it. I would absolutely recommend them to others. The grounds were beautiful at Woodside Terrace; however, one thing that I saw could be a problem is the walkways were not an even walking surface in the courtyard area. The people were nice and I like the setting. It was nice. There were trees, and it was in a neighborhood where you could walk to the dry cleaners or to the store. So it's nice. We were very impressed with everything we saw in Woodside Terrace. The staff treated us very well. The rooms were very nice and spacious. It was great. They had a whole bunch of activities, like tours and religious services. Woodside Terrace is very nice, but very expensive. The lady we spoke with was very, very gracious and showed us around and explained everything. She called our friends who had moved there and they came down. The room that she showed me was very, very small. My mother barely stayed 10 days at Woodside Terrace before she passed away. The facility was horrible. I thought it was a nice place for my mother to stay. They put my mother in a dining room, not a real room. I would never recommend this facility to others. After a difficult surgery to repair an aortic aneurism and several weeks recovery in a hospice we moved my grandfather to Woodside Terrace to help make his life a little easier. None of the family was in a position to take my grandfather in at the time, and to be honest I do not think he would have liked to be doted on by the family. I visited the home several times and found it to be very pleasant. They had several living spaces and floor plans available based on the occupant needs, and while he was there my grandfather was moved closer to care as he needed it. The floorplans are comfortable and very similar to apartment living with adequate space and many rooms have a balcony. There are the obvious necessities for the elderly such as modified bathrooms, large doorways and emergency buttons located around the rooms. I dined with him in the common area once or twice and always found the food to be quite good. The communal dinning option was nice for times when my grandfather was looking for social interaction, but there were other ways to eat in private should he desire. From what I could tell the staff were helpful and treated the occupants with respect, and my grandfather rarely complained about the service and certainly had no major complaints. The facility also had several organized events and outings however my grandfather was never one for these types of things and so I cannot comment on them. Overall I would say the family was very pleased with our experience and while placing a family member in an assisted living situation is never easy this facility made it easier. This facility definitely fills a need and has been a staple in a community that has fewer other options, but does it without much distinction. There are two towers: one for independent living and the other for assisted living, which can make it very awkward if a resident has to move. But at least in some cases, this may be more jarring to others to those other than the residents, who don't always want to live together when their needs and mental capacities are very different. The scheduled activities are those usually offered in assisted living facilities, but nothing that sets them apart. And residents may find they need to do some pushing to get the right level of care, sometimes with the added help of family members and friends. The caregiving and management staff deliver quality care. The cost at Woodside Terrace is moderate, which again, is part of the reason the facility serves a need in the community. Woodside Terrace was the last stop on a tour of communities we were considering for Mom and Mom-in-law, and my reaction was decidedly mixed. The grounds were in good shape and the facilities fine. The apartments are basic but quite livable, if a bit small. One odd thing we noticed -- there's no separation, like a countertop or bar, between the kitchen and the dining area. We liked that they do wellness checks every morning and are equipped to offer on-site physical therapy, including a year-round pool. Also nice that they have a number of transportation options, including a town car. I guess my biggest reservation would be regarding the location. The neighborhood felt kind of sketchy and run-down. Don't think I'd feel comfortable with Mom walking unsupervised much beyond the community grounds. The other factor is even a little harder to pin down, but this seemed the most corporate of the places we checked out, like the marketing staff could just as easily been selling cars or carpeting. Brookdale Redwood City provides a full range of choices for today's seniors. Choosing a senior living community represents a lifestyle choice and we understand that our residents are choosing much more than a comfortable living environment to call home. Our Brookdale community delivers Inspired Independent Living, with the promise of Exceptional Experiences Everyday. In choosing this community, our residents have made a conscious lifestyle decision designed to deliver enhanced opportunities for pursuing health and life fulfillment through the exceptional services, amenities and opportunities we offer. And, our residents can rest assured that as their needs change we provide a variety of ancillary services and a Personalized Assisted Living environment that encourages our residents to continue to live as they please while respecting individual preferences. 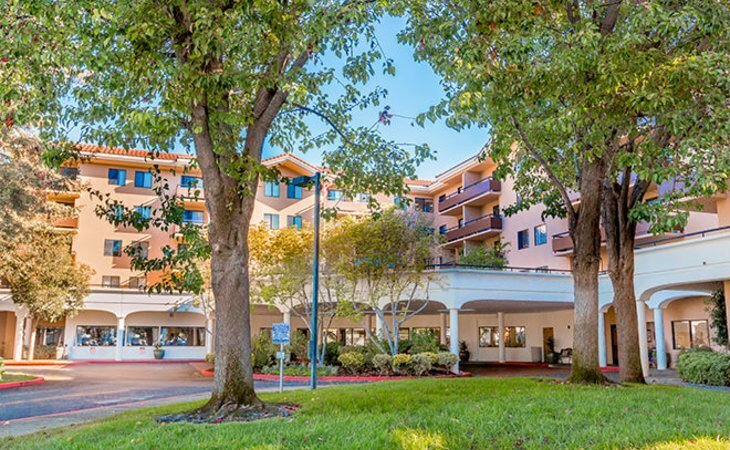 What should caregivers and potential residents know about Brookdale Redwood City?